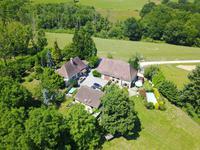 On 57 hectares of meadows and woods, this stone property of 1000m² is currently running as a . . .
Lovely private residence with two gites, or equally suitable as a 3 gite complex. Large park . . . Situated in a private position, this south facing house with a wheelchair-accessible gite . . . This pretty barn conversion is situated in a small hamlet at the end of a no-through road . . . Spacious light village house, ground floor living, loft conversion prospects 80m², basement, garage, garden, lovely countryside views - Périgord Vert. This property is on the outskirts of a village which has a small shop, bar/restaurant and . . . This immaculate stone property has been newly restored, it is situated in a small well-kept . 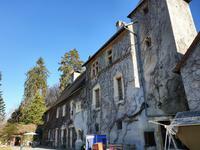 . .
Splendid 19th century manor house on over 16 hectares with direct river frontage. Two . . . This beautiful honey coloured stone property has been lovingly renovated using top quality . . .
Idyllic hilltop position with panoramic views, Great B&B potential for this spacious 7 . . . Dated around the 14th/15th century this stunning stone property exude's copious amounts of . . . In the heart of the Dordogne countryside, set down a quiet lane with no through traffic, this . . .
With delightful views of the rolling countryside this lovely renovated property is within . 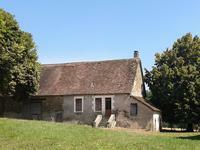 . .
House and barn to renovate on 10 hectares of fields and woodland with 2 lakes. This amazing property offers a completely peaceful and intimate setting, while being only 4 . . . Within easy walking distance to a thriving market town this well maintained spacious house, . . .
A beautifully and tastefully renovated house with sharp clean lines and luminous spacious . . .
Beautiful, fully renovated property with outbuilding and swimming pool. In the Perigord Vert in the lovely Dordogne. 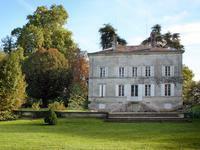 Exceptional property located in the countryside of Saint Jory de Chalais. A place to relax, . . .